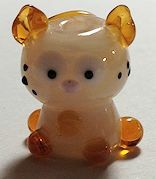 And one kitty bead. This kitty turned out kind of fat. Kind of reminds me of my cat, Igor. His fur is so fluffy around his face it looks like he has no neck. 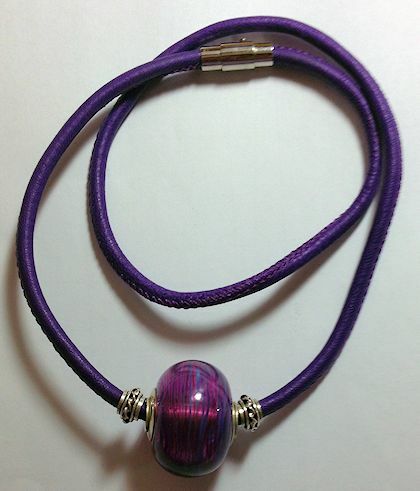 And a hollow bead that I cored and strung it on leather.